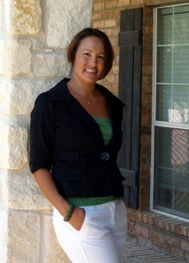 Homes For Sale in the under $150,000 category has slim pickins' in the Lake Ray Hubbard area! If you're considering Selling your Lake Ray Hubbard Home, now is a great time since the inventory is so low! It's much better to be a BIG FISH in this Small Pond but to be this Big Fish, you have to do what is suggested in this well written & informative post. Read more on the 4 Must Do's when Selling your home. Would you like to know what the Current Market Value of your Lake Ray Hubbard home is? Click here to have a FREE Market Analysis sent to you. If you're thinking about Selling your Lake Ray Hubbard Home in Garland, Rowlett, Rockwall, Royse City, Wylie, & Sachse, let's meet and discuss how your home can be a Big Fish and Sell quickly. Please know that I will truly work hard for you and go above & beyond to achieve the common goal of finding a buyer for your home! Contact me to set up an appointment to discuss in more detail about selling your Lake Ray Hubbard/Dallas home. small fish in a big pond "
They have evidence of rising home prices too. Prices rose in 110 out of 147 metro areas. And another statistic of interest that configures into the overall picture on current market status is this ... Distressed homes (foreclosures and short sales) accounted for 26% of recent sales. That percentage being down from 33% a year ago. And ActiveRain Blogger/Agent (Howard Meyers) regarding a portion of Chicagoland's market. And while inventory definitely influences purchases and housing prices, other things, such as Buyers' ability to purchase, also are playing a big part. Recent indications show that current home buyers are now proving ample income and can meet down payment requirements when seeking financing for their new home purchases. Don't forget too, interest rates are at historic lows, and monthly payments on home purchases remain favorable to home buying. So ... what should all these reports and facts mean to someone thinking about SELLING their home? It means, if you're contemplating a sale, NOW might be the time to act. It means, that the old adage shown above ... "It is better to be a big fish in a small pond, than to be a small fish in a big pond" ... could definitely work in your favor as you list and sell your home. How?? As I see it, it boils down to this: Choices. Which size ... and what kind ... of home-selling fish do you want to be? Do you want your home to stand-out? Create curb appeal. Do you want potential Buyers to imagine themselves living in your home? Make any needed repairs. De-clutter, clean, and stage your home well. Modernize. Make it appealing. Do you want Buyers that fall in love with your home .. and then act decisively, and respond quickly with an offer? Price your home realistically. Do you want to be the best and most desirable home in your area's "pond"? Act now to take advantage of current low inventory levels. Contact an agent today. I can tell you, as a Mortgage Lender, what I'm hearing backs-up the stats and news articles currently being reported above. I'm hearing complaints about home inventory and property choices all the time, from both home buyers and agents alike. Good condition, well-priced homes are scarce. But I'm also hearing ... Good condition, well-priced homes get attention. Good condition, well-priced homes sell quickly. And I know for a fact that ... Good condition, well-priced homes arrive at their new Buyer's Closings successfully. They appraise out. Underwriters find fewer issues to raise. "Good condition, well-priced". Does that describe your home? It can, if you prepare properly for your sale. It can, if you listen to and follow the experienced advice of your real estate professional. Now is the right time to list and sell your home. Recent NAR reports and statistics back that decision up. So do others. They also prove the wisdom of the old saying, "It is better to be a big fish in a small po nd, than to be a small fish in a big pond." * Hoping to become a successful home seller in Will County, Chicagoland, or elsewhere across our nation? In need of a referral for an experienced, successful real estate agent to help you sell your home? Contact me today. I'll be happy to refer you to the best in the business.